From now until the spring, we’ll be urging you to join the campaign to put hunger at the top of the agenda at the G8 next summer, and encouraging us all to be part of the solution to tackle hunger, not part of the problem. This is an opportunity we have to make real significant impact on the world and on our Government and show that the craft community demands systemic change. How can you get involved in this crafty activism? Well with a needle and thread, of course! The place to improve the world is first in one’s own hearts and heads and hands, and craftivism is a tool for that ‘slow activism’ we do. The aim is for people to make three jigsaw pieces, stitched with provocative and encouraging messages to remind us we can all improve the world and help fulfil its potential . One of the pieces will go towards creating an art installation to raise awareness that we all have a role to play and show that the craft community wants the Government to use its power and influence as host of the 2013 G8 to tackle injustice. The second piece is for you to keep as a reminder to be part of the solution, especially when we feel overwhelmed and helpless. We can all do our bit in so many ways – from buying local and reducing our carbon footprint, to raising awareness and talking to MPs about important issues like food price spikes and biofuels. Which leads on to the third puzzle piece, which you can stitch with the words “I’m a piece” and give to your MP to ask them to be the positive change they wish to see in the world. And that’s not all! There will be craft events across the country from Manchester to London, Cardiff and Milton Keynes and crafty activists are invited to do the project on their own, with friends or set up their own event as well as spreading messages and images about the project through their social media platforms using #imapiece. Keep an eye on our events page for all the info. Why are we doing this? Simple. The number of hungry children in the world has risen for the first time this decade. Hunger and malnutrition are political problems, which need political solutions, and the craft community can play a part. The G8 will be hosted in the UK next spring so eyes around the world will be on us again (like when it was hosted in Scotland, and the UK public responded with the mostly successful Make Poverty History campaign). This is a big opportunity to make historical change. Some of the key players in the emerging contemporary craft movement are getting involved with this Craftivist Collective project: graffiti knitting street artist, Deadly Knitshade, Hilary Pullen, writer of social media tip blog ‘Craft Blog UK’, and Mr X Stitch, the original manbroiderer. They know that life is like a puzzle – it all seems a mess but when it gets finished it looks brilliant! This project aims to show that we are all connected and our actions make a difference, whether that be through what we decide to buy, vote for, how we treat people etc. There is no one solution to the problem of injustice but we can all play a part in a movement for change. It’s easy to ignore malnutrition in the UK and overseas if it isn’t directly affecting us, but we hope that this project reminds us to be in solidarity and fight for a more just world for all and, basically, just do the right thing and not regret not having a go. All children deserve a good start in life whether they’re in Sudan, Seattle, Stockholm or Southampton. Nutrition gives all children the chance to fulfil their potential. There’s more than enough food for everybody, but the way we grow and share our food doesn’t work. That’s not fair play and it doesn’t have to be this way. Next year is a historic opportunity to tackle hunger once and for all. We need to make sure it doesn’t go to waste. After all, it is not only for what we do that we are held responsible, but also for what we do not do. 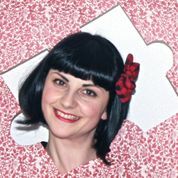 your link to the jigsaw template isn’t working for me, can you check it out and see if it’s just moi. FAB project and will be honored to participate. I have commited to taking part in this worthwhile cause for Save The Children. Will you? 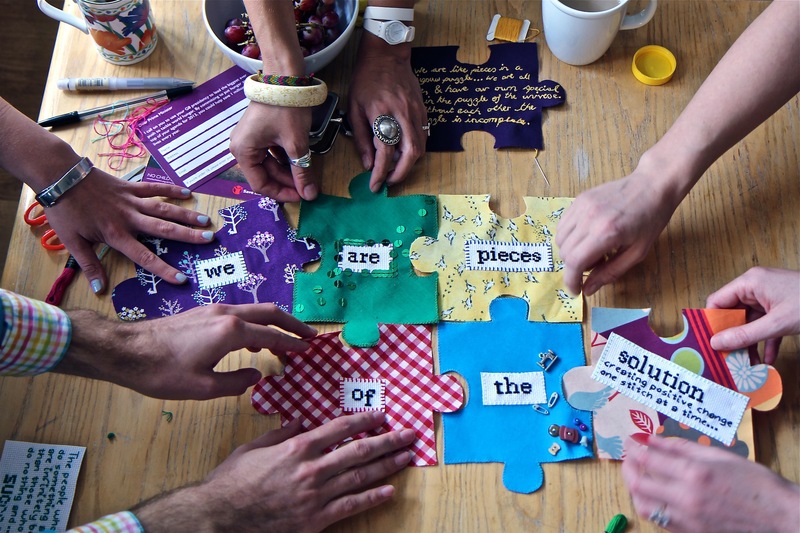 Craftivist Collective Jigsaw Piece Launch | Did You Make That? 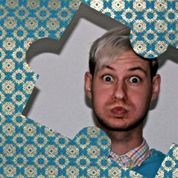 This is such a fantastic campaign – I’m organising an event in Brighton for early Dec. Having a few problems with the links though I’m afraid – the Instruction sheet link is just taking me to the youtube page and the jigsaw template is taking me fuse.ly. Yay! This is a brilliant project, can’t wait to get involved. However, I can’t seem to download instructions or a template from above, and I can’t even see links to them on http://imapiece.craftivist-collective.com/. Sorry if I’m being daft! Thanks! The pdfs are opening now and looking amazing. I’m in from Durham, North Carolina, USA! A Little Book of Craftivism | Did You Make That?